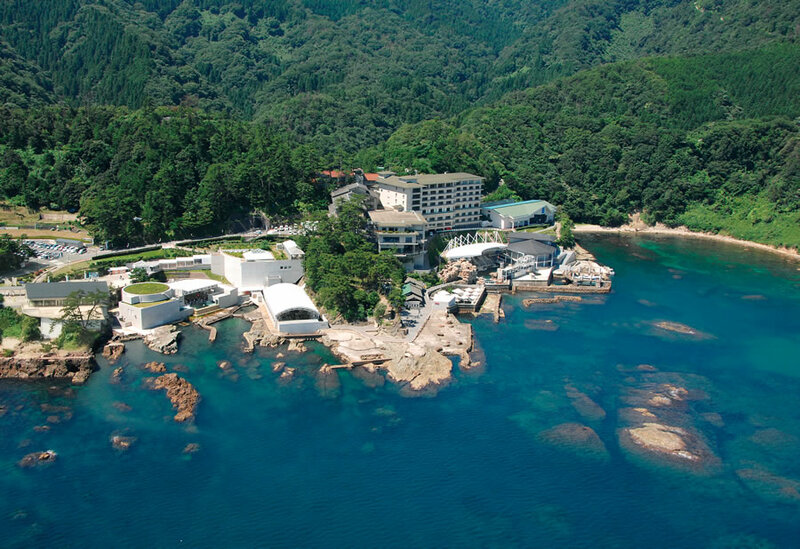 The Kinosaki Marine World is an aquarium united with nature where the Japanese sea view unfolds before your eyes. Not only can you enjoy the sea beings in each area, you can also enjoy many exciting shows. * We change our business hours during Golden Week, summer and the O-bon period. *We have a map written in English.Please ask us for this. The nearest station is Kinosaki-onsen station. Please check below how long will it take frome Kinosaki-onsen station to Kinosaki marine world. The dolphins and sea lions change each year. 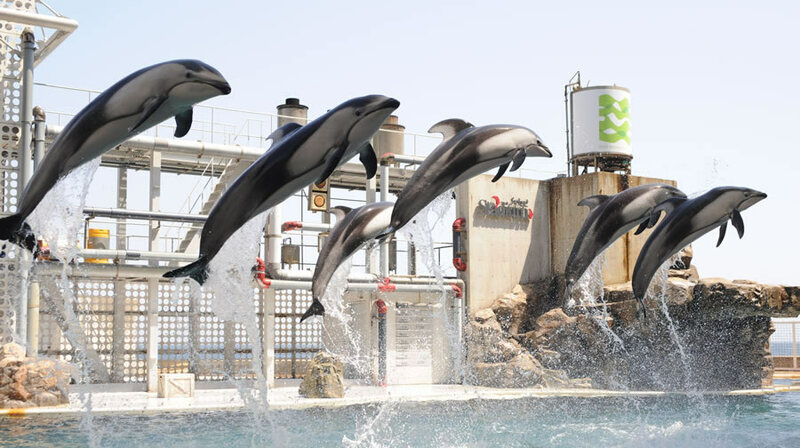 At Sealand Stadium, we have captivating show times for people to share with dolphins, sea lions and penguins! Show staff disclose the biology of the Pacific white-sided dolphin in our indoor pool. climbs a steeply inclined crag and makes a splendid dive down to 5 meters! Seals climb steep and gentle rock slopes one after the other! Amazement at the athletic ability of the sea lions comes and goes. These penguins are the owners of considerable motor skill as they descend and climb even stairs. The walruses display the special water cannon that spray out from their big mouths. Hands are sometimes bitten too when the fish are fed. The surprising behavior of the fish,I will show you from a new angle. "Book on the day 600 yen"
We have a range including soft drinks and sandwiches with carefully selected ingredients. *We have a menu written in English.Please ask for this. We have a complete line up of original goods, sweets and marine products. 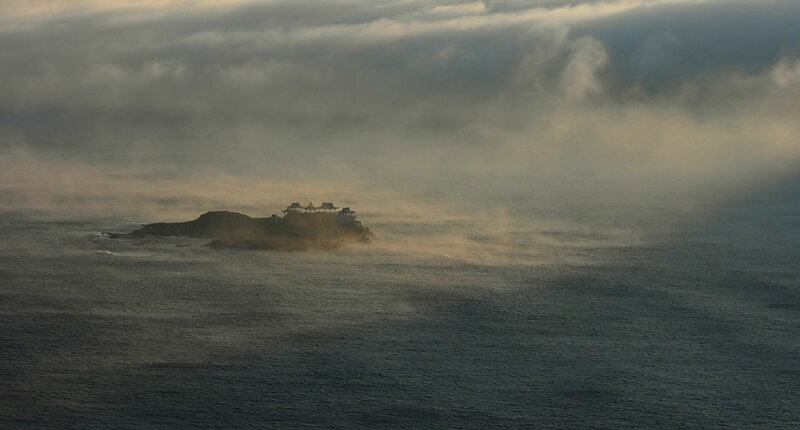 The restaurant we are so proud of sites in a magnificent location commanding a panoramic view of the Japan Sea. *We have a menu written in English.Please ask us for this. 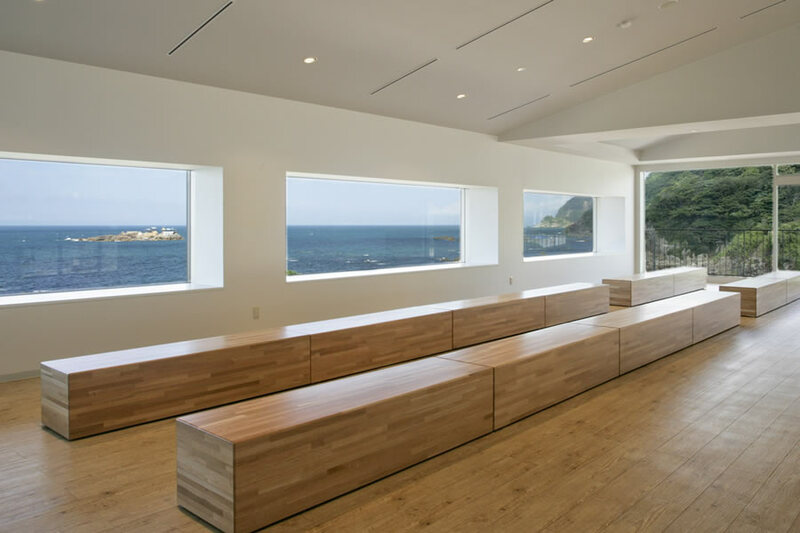 Hotel Kinparo is located at the corner of San-in-Kaigan National Park, and guests can enjoy a magnificent view of the Japan Sea. For bookings and reservations,please click here. 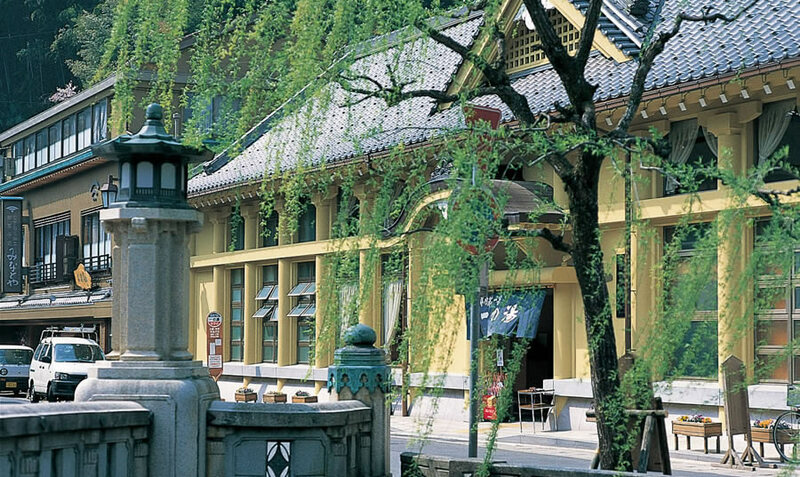 Kinosaki is a hot spring town of literature and history that retains its hot spring ambience. Visiting its 7 public bath houses is a famous way to spend time here. This is a base facility that returns Oriental storks, a Special Natural Treasure, to the wild. It is currently making efforts for the birds’ protection and proliferation. The stunning vista created by the sand spit and green pines as viewed from Mt. Monju is just what you would expect from one of the "Three Views of Japan."